This map is now available in app form! 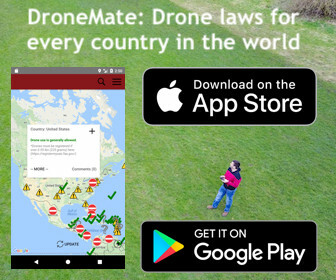 DroneMate is available on the App Store and Google Play. Many travelers buy a drone to shoot videos of the places they’ll be visiting but when you’re crossing international borders, not being aware of the local laws can cost you fines, hassle, the loss of your drone, or worse. Some countries, even those very popular with tourists, prohibit unmanned aerial vehicles (UAVs e.g. drones) from being imported at all. Many travelers have been caught off guard at customs and having traveled around the world with my drone, can say the rules are often confusing. A big part of this is due to a lot of hearsay and misinformation floating around online, so I got in touch with the appropriate governing bodies in every country in the world to put together this map of official laws for recreational droning worldwide. The map is updated regularly and only applies to recreational drone use – commercial drone use requires a permit in practically any country you can think of. I’ve also included links to registration forms and any other relevant contact information you may need before you fly your drone in a given country. Several U.S. states have additional (to the Federal Aviation Administration; FAA) rules governing drone use, those have been included in the map above as well. Additionally, some specific tourist sites, parks, and other areas have their own rules concerning drone use, those have been noted as well. Of course, not all drone regulations fit neatly into these categories so please feel free to comment if you have any questions – and in many countries, the law may say one thing, but travelers experience another. I hope that you’ll help add to this map by commenting about your experiences below. Lastly, although I’ve done my best to get the most accurate information but it’s informational and ultimately it’s your responsibility to know the rules and not get in trouble. I hope this map helps serve as a valuable guide as you travel with your drone around the world! PreviousIs It Still Possible To Visit Socotra Island? In Chile drones must have parachutes just if the drone weight more than 750 gr. The Mavic pro doesn’t ‘t require a parachute or any permision to fly. Thanks for the feedback, I’ll verify. Hi Anil. Did you end up verifying about Chile? Yes, the latest rules are up on the map! I went to Senegal last winter and they wouldn’t let me enter the country with the drone, I had to let it at the douane. The map indicates “no data”, well I’m telling you it requires authorization. Thank you for the map, hope I helped a little bit! Thanks for the update, I hope you got your drone back! This is not correct, according to the local authorities. This is what I’ve been looking for!! I have a DJI Spark- I guess I will be ok without a permit and paracute? Yes, the Spark is only 300g. Ok, so to clarify, operating a DJI Spark in Chile, no need for permit or parachute? Clarified the rule on the map (there are some conditions). Redirecting you there as the information in the comments might be outdated and the map will be current. Good evening, The Mavic is appx 734g according to DJI site, so the Mavic should be good to go without registering to fly in Chile and no parachute needed….just looking for solid confirmation. Please check the map for the updated rules (clarified today). I have heard and read that one must declare their drone in customs when entering Chile and a temporary importation tax is applied for the Mavic (most likely other drones as well) when entering customs in Chile, are you able to confirm this? If so, what %? And is the tax returned when leaving the country? Please check the map, Chile is up-to-date. I’ve had several friends bring in and fly drone in Kyrgyzstan – not sure where you got that info from. Only place I’ve seen it be an issue is during large public gatherings on holidays in Bishkek. The information came directly from contacts in the appropriate governing bodies on Kyrgyzstan. Though thanks for your comment, like in many countries, when it comes to droning, the laws says one thing but in practice is another. For Portugal, the description is far too generic and the reality in most urban areas is not as mentioned. The official rules, displayed on the National Aviation Authority’s (ANAC) specific site are quite more restrictive than what is displayed in your tool. Thank you for the feedback, I’ve added the tools and additional regulations with guidelines. Hej, great work, I’ve been looking for something similar for quite a time! As an Austrian I would like to add that for most consumer camera drones you don’t have to really pass an exam to fly, but you’ll have to register and of course insure the drone. The registration has to be renewed every year and costs 330€. After successful registration flying below 150m above ground is permitted if constant visual contact can be guaranteed. The requirements get higher with each category, for B-D you'll need to prove that your drone is "safe to operate", which means it'll have to have some sort of redundancy so it doesn't come down if e.g. one or more motors stop to work. For C&D you'll need to pass said exam on aviation law. Excepted from these rules are drones with a kinetic energy of less than 79 Joule, so called "toys". 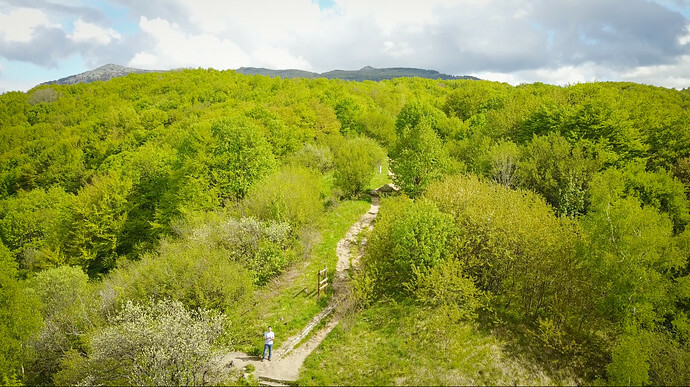 If you can assure that your drone will have less than 79 Joule of kinetic energy on impact (if it falls from the sky or you crash it into something), you can fly it below 30m above ground and in a way that no people or objects are at risk. For more than 30m you'll need permission from the "Austro Control" (authority). If kin. energy is below 79 Joule, you're good to go below 30m above ground, for bigger/faster drones you'll need to register depending on what area you're planning to fly above, which will cost money and time. Thank you very much for these details Alex, I’m going to confirm them and post once I do! Thank you again for the information you provided. The authorities just sent me the latest relevant rules and I’ve updated the map and app with them. Hello, I’m wondering if anyone has any recent experience taking a DJI Mavic (or similar weight class drone) to Argentina and what their experience was going through customs. I see on the map that registration is required, but the link is in Spanish (or Portuguese) only. Is there any other helpful hints with getting the registration filled out, i.e., how long it takes for a response (if there is one)? is there a fee? is the drone required to have insurance? is there an import tax at customs, if so, is customs strict? When I went to Chile last year, they didn’t even ask or check for a drone. Wondering if it will be similar. Any feedback will be appreciated! COMMENTAny info with taking drone through customs in Buenos Aires? As in are they strict with drones being taken in? Will they charge an import tax fee? Are they strict with registration? This is official Civil Aviation page. According to page drone law is quite liberal. Looks like that page is not currently working. Thanks for sharing, I’ll keep checking back. Strange.. if enter their main page and click “drones” banner which leads to same url it works. Odd, it was working off and on – think I’ve got it now. Thanks again! Recently came back from Iran and made a rookie mistake of not doing my research before taking my drone with me. Anyways long story short everyone said drone is banned in the country and especially in the capital city Tehran, but I heard you can apply for a permit to fly your Drone in the country, but good luck getting one as things are complicatd there and takes time, so to avoid what I have being through and survive to write this, DO NOT TAKE YOUR DRONE TO IRAN. I was very to had mind taken and return to after 4 days of waiting and questioning when I flew it at tourist attraction site and unknowingly flew over sensitive area in a city called Isfahan.They might think You’re a spy with your drone..
Haha, same happened to me, big drama with Secret Services and police in the middle of Isfahan and whole day at immigration being interogated. However I disagree totally, you can take drone to Iran, and it is permitted, saying that you need to choose carefully where you fly. Apparently I was close to some military bunker in the desert that’s why I got followed for 3 days and detained. One more thing I have british driving license which caused escalation, otherwise It would have been fine. Police and secret services confirmed, that drones are allowed in Iran. Not over Tehran though. Hey, speaking from Pakistan here, No drone laws applicable here so it should be marked as grey! Hi, thanks for catching that! I updated Pakistan on the map and have been working for a while to get more detailed information. I am looking to travel to pakistan next week and was hoping to take my Phantom 4 Drone with me. Will I be charged customs duties/taxes for Import/Export on both my in and outward journeys? Adnan, the map above will be updated with any new rules, regulations, and taxes. Thank you for the information, I’ll update the map now! Sahara Occidental isn’t a country. Is a ocuped region for Maroc, so, the laws are the same taht Maroc: forbidden fly there without permission from Maroc Adouane. Thanks for this amazing map! Thanks! Yes, it’s a bit of a legal grey area, I will update to better reflect the situation on the ground. State of North Carolina – You must have a state license for commercial use, available online for free with a test that seems to be a subset of the FAA Part 107 test with a small amount of State Law questions. Thank you very much for the additions, I’ll add them to the map. The Georgia House passed a resolution (HR 744) to create a committee to look into drones. The committee continues to look into federal drone laws annually. Continue to monitor FAA Regulations with regards to registration requirements of hobbyist operators. The committee does not want to duplicate the process or hinder the industry. Hello. Some information on Sweden is wrong. You only need liabilityinsurance if you are flying comersially. Not for hobbyists or recreational flying. Also you don’t need to mark your drone with telephone number or name. Thanks Kevin, I’ll follow up with the CAA to confirm the wording of the regulations. Nice map, thanks for putting it together! You have a green for Ecuador but in the Galapagos drones with cameras are not permitted by tourists. They only allow the use of camera drones for research under strict permitting. This is the rule we were told. We did have someone on our trip who brought a drone and the operator allowed him to fly only when we were alone and no other boats were in the area. Thank you for the feedback. I’ll follow up to see if there are any official rules. Confirmed and updated, thanks again! Hi there, drones are permitted in Cook Islands, their regulations follow the same as New Zealand. I’ve personally flown my drone (mavic pro) in the capital city of Mongolia and all around the country and there is no problem. I even asked if I could take off from a rooftop of a restaurant in the capital and they were more than happy to let me fly. Thanks for the feedback and reporting on your personal experience. I had followed up to confirm the link you had sent some time ago but it’s not accurate – currently there are no laws or regulations in place specific to drones in Mongolia. Thank you. It seems the rules you posted may have been recently updated, I’m following up to confirm with the authorities. For my own experiences, I have had no issues flying 100+ drone flights across the state. Thank you. Yes, there are no official restrictions but many travelers report this happening to them – others however, don’t have this problem. I would recommend thinking twice before bringing a drone to Turkey. To fly professionally you need a licence, an insurance, you need to register your drone to the authorities. This is the case – at a minimum – for most countries. The map only show recreational regulations. Hi Lukasz, I followed up with the authorities. The distances you listed aren’t correct but the general information looks right – thanks! Załącznik (attachment) nr 1, Rozdział (chapter) 4, point 4.1, sub 6) tells about necessity of having PANSA authorisation for flights in CTR. It is also consistent with the map I linked in previous comment. FYI, all drone use in Maine State Parks has been prohibited since June 1st. I live in Hungary, everything written is only a plan, Hungary has strict, impossible law on drones basically written for planes and helicopters. I don’t want write today situation, because they promised to finish the drone law until July, now it’s almost October, and there is still no news about the drone law. I’m going to follow up with them – though the confiscated SD card seems shady. Sorry this happened to you. Those border authorities weren’t acting in accordance to the law, based on what you’ve said. The map has been updated with details. According to it, a 48 hour theoretical training and 10 hour of practical training in schools authorized by DGAC or from an equivalent international organization but approved by DGAC are needed. I’ll have an update shortly. Love the map! Super useful. There are more details for Singapore, but this is a very good overview! I am wondering if I can republish this [EDIT] and link everything to you? Do let me know! Would love to share this on my main website. You want to embed the map? Georgia (country). Regulated by GCAA http://www.gcaa.ge/eng/. OK to fly, follow rules. No registration for drones under 5 KG. Thank you very much, I’ve confirmed and updated the rules on the map and in the DroneMate app. Hello! I believe that you need to put the red marker on Russia. Unfortunately in our country getting the official permission to fly your drone is next to impossible, so everybody is flying illegally here. Here is the official bulletin regarding the drone operations in Russia. Briefly: you must get the official permission from local AND regional Air Traffic Control for any UAV operations, no matter the drone weight, altitude and other flight properties. In addition to this, when flying in urban area, you must get the official permission from local authorities. When using the aerial camera, you need to have a separate permission from authorities, as this is officially recognized as “aerial works”. Thanks for the feedback! Yes, you’re right, it’s more of a “red” situation and I’ve updated the map and DroneMate app to reflect that. In the meantime the red marker on Belarus is not correct. According to recent changes to Belorussian law (as of Feburary 25, 2016), there is an “air model” subclass of UAV. Within the “air model” class fall the controlled UAVs which can operate only within VLOS (and also any uncontrolled UAVs). In August 16, 2016 the rules for air models’ usage in Belarus were established. The air models may be launched and operated below 100 m AGL (outside the restricted zones) without any prior notification of officials. If the total weight of air model exceeds 500 grams, it must have the identification markings made by its owner (name and address of owner). Looks more like a yellow color, isn’t it? And I’m afraid that you posted the incorrect text regarding the situation in Russia. 1. Your drone (with weight starting from 200 grams) must be registered in government agency and bear the NFC ID, but the process of registration has not started yet. 2. For every single drone flight you must get the official permission at the local and regional air traffic control. If flying in urban area – also from the local authorities. 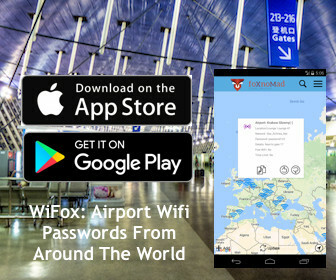 These permissions are valid only for specific time and location, so you need to get a separate permission for every flight. I’m following up to see if I can get digital copies of the forms, thanks for the feedback! For South Africa it does not say anything about a permit for recreational use while I find on the web that you need to get that… can you please advise? The information above is up to date, currently no permit is needed for recreational use. I have just successfully gone through the process of registering my two DJI Mavic Pro drones in Curacao. The procedure and forms were apparently created in August 2017. Contact Mr. Michael Llanes (Aviation Safety Inspector Operations ) at Curacao Civil Aviation Authority, [email protected] +11-(5999)-839-3309. He will provide a form to be completed and submitted as well as safety guidelines and a map showing “no fly zones’ related to the airport, industrial facilities, military training areas, and wildlife areas. He will refer you also to Mr. Glennert Riedel at Bureau Telecommunicatie en Post ([email protected], -11-(5999)-463-1738), who must also provide approval based on the remote control and aircraft transmitters frequencies and powers. You must provide a form of identification to Mr. Riedel. Mr. Llanes and Mr. Riedel will coordinate between themselves and both provide official stamps and signatures on an approval letter, and will email it back to you. Without registration, your drone will be confiscated at Customs, and will be returned to you when you have acquired a properly executed approval letter. So, it is a good idea to go through the process via email before traveling to Curacao!. CCAA will be adding the form and procedures to their web site (now under re-development) Real Soon Now. Thank you very much for this detailed information. I’m following up with all the contacts you’ve listed and will update as soon as I can confirm. Azerbaijan – restricted, red mark. – unmanned aerial vehicles (air drones) controlled from distance. The link you provided was outdated. Please check the map above for the latest rules. Any experiences when flying a drone in Monaco? did you apply for a permit? using a mavic pro. Thanks! I’m going to follow up on this, thanks. Currently this doesn’t correspond to the official rules as stated but perhaps a formal update hasn’t been issued. In either event I’ll update if there have been any changes. Some improvement suggestions for the Netherlands: it is stated that “Drones may not be flowen over … public roads.”. This is true, but there are two exceptions: “roads in 30 km zones within built-up areas and roads in 60 km areas outside built-up areas”. After this statement, the map says “Drones may not be flown over railways or motorways accessible paved roads, excluding roads in 60 km (37 miles) from build-up areas”. True, we may not fly over railways, but the second part is incorrect; it is covered by my previous comment: you may fly over roads in 60 km areas outside built-up areas. 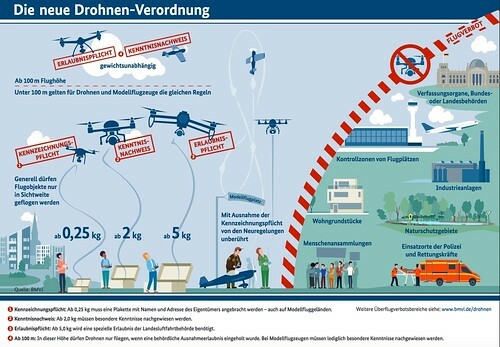 The last rule says “Drones must be flown at least 3 km (1.8 miles) of any airport.” This is true for small airports, but we are not allowed to fly within controlled air space, meaning you have to keep a much bigger distance from large airports. Apart from this, there are nature reserves we are not allowed to fly in. I see Rome/Vatican City is prohibited. I don’t see any information on the Dolomites in northern Italy. Do you know if there are any restrictions or concerns for the Dolomites region in Northern Italy? Sorry, I must have missed this comment. Check the map above for updates but as of this writing, in several regions there are open for flying, with some restrictions. Thanks for the update – it’s in the map and in the DroneMate app! Philipines drone laws to add on your map. Drone use is allowed in the Philippines, but there are several drone laws that need to be followed when flying in the country. Operators must ensure that they follow the following drone laws when flying in Philippines. I’ll parse and post the latest laws if there are any updates shortly, thanks! Is this map still being updated? Has an overview of drone laws, the official government website of Malawi is down now, otherwise I would have added a link from them. Provided link on droneregulations has links redirecting to the government website, so maybe that works by the time you are checking! Absolutely, this map is updated as the laws are! > *Prior to flying a drone, you must register and pass an online exam found here (https://fox-alphatango.aviation-civile.gouv.fr/en/). > *Prior to flying a drone weighing more than 800g, you must register and pass an online exam found here (https://fox-alphatango.aviation-civile.gouv.fr/en/). The training is good to follow even with a drone below 800g, but drone registration & exam pass is not required. Wow I had no idea of all the restrictions and the countries you’re not allowed to even take it into the country. I’ve only recently got a drone and plan on travelling soon and this has saved my life. Thank you ever so much! You’re very welcome, I’m happy to help! Thanks for this note, I’ve verified the rules and updated the map and the DroneMate app. i see they are make ENG. APPl. I would like to tell you about change in Slovakian laws. Under the pressure of EU and the terminology in Slovakian laws, a lot has changed. Nowadays, you can fly with drones without any issues, if you aren’t making profit from the photos and videos you make. So if you fly as an hobby and you like only take the pictures for your use, or post them somewhere without making any profit, there is no need for permit or flying license. – Max flying height is 120m. – You are forbidded to fly after sunset. – You always have to see the drone. – You have to be atleast 50 meters away from buildings and people. – Same rules apply to you aswell. – You need to have flying license for the drone you are flying with. – You need to create something like a guide about your drone, its parameters and what you can and can’t do with it. – You have to have insurence against hurt or damage to third party by the drone. I might have missed something, but that is the general gist of it. Thanks – I’m going to follow up with the authorities and add the official updates shortly. Let me know how it goes, glad you got it back!